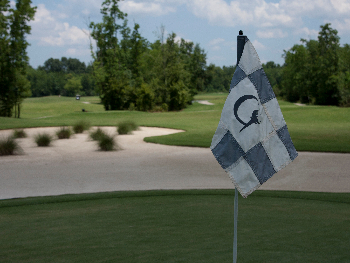 Check out our tee times and book your next round of golf online today! Greystone is many things to many people! It's a special place to raise a family for those who have chosen to make this place their home! To golfers playing nearly 30,000 rounds of golf each year, it's a real joy to work their way around the diverse layout. To many families, it's a place to spend their summers around the resort-style swimming pool, children's spray park, basketball court, tennis courts, playground, fitness area and daily Grill. To community leaders, Greystone is the best executive housing in the area, supporting local growth and economic development. Greystone is a special place to many, and now is your time to become a part of this special community. Greystone is conveniently located just 10 miles east of the Interstate 10 / Interstate 12 split. With the 2012 widening of Interstate 12, commute times are literally under 15 minutes from most work places in Baton Rouge. How can such a short drive lead to such a serene place in a major metropolitan area? Well, Greystone was a retreat for generations owned by a prominent Baton Rouge family where they could hunt, fish, camp, and spend holidays together. Now, Greystone offers you and your family that same retreat setting and resort lifestyle. Here at Greystone Golf & Country Club we pride ourselves on the high quality of magnificent golf, superb amenities and outstanding service that we offer our valued customers. We have worked hard over the years to become a staple of the community, and in the process we have earned recognition as one of the region's premier golf experiences.